The monitorGuard is a protective case, a sun hood and a carrying case in one. 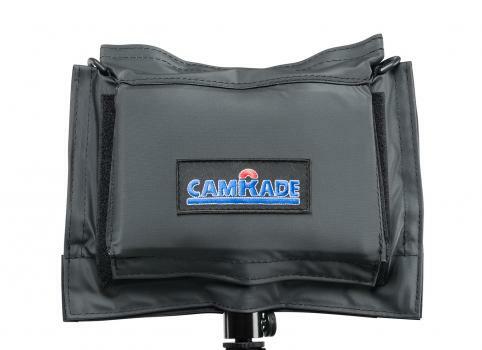 It protects the monitor and allows you to keep shooting in bad weather conditions. 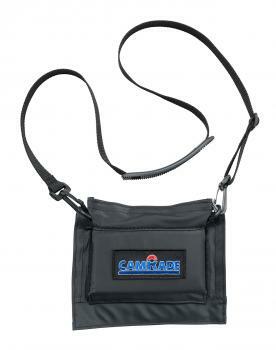 The cover allows easy access to controls and cables. Protective cover, a sun hood and a carrying case in one for wide range of 5 inch field monitors from TVlogic, SmallHD, Atomos (Ninja) etc. Protective cover, a sun hood and a carrying case in one for wide range of 7 inch field monitors from TVlogic, SmallHD, Atomos etc.